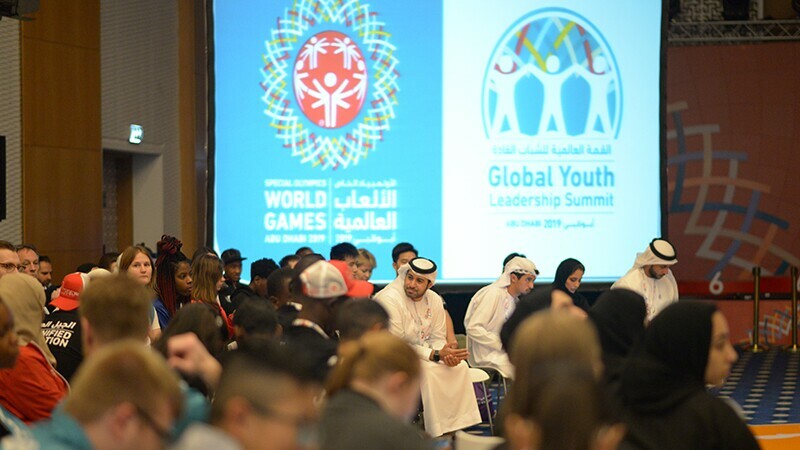 Over 150 youth and adult leaders, with and without intellectual disabilities have gathered at the Global Youth Leadership Summit to develop the skills needed to lead their communities on the movement for inclusion. On 16 March local Emirati youth leaders led fellow Summit participants, partners, and supporters in a Global Youth Circle to discuss the power of youth in creating a more inclusive world. The Global Youth Circle started in the UAE as a way to inspire youth-centric dialogue and to engage youth on innovation solutions for current global issues. 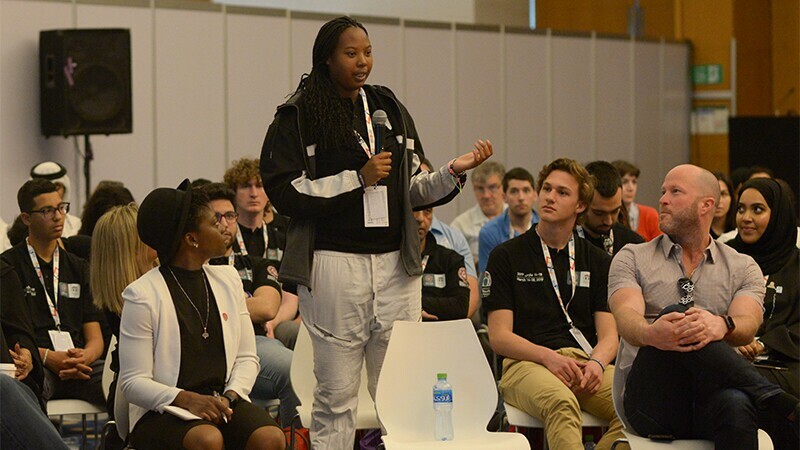 Unified pairs, which consists of one youth leader with an intellectual disability and one youth leader without an intellectual disability, were able to talk about how they are leading the Unified Generation across all seven regions of Special Olympics. They were asked four questions each prompting their own ideas of innovation. How can youth be involved in promoting inclusion? Enzo and Mackenzie from Special Olympics Colorado spoke about how inclusion is part of their daily lives within an integrated school. For their project, they are taking inclusion out of the classrooms and onto the slopes with a clinic on how to ski, snowboard, and snowshoe for Unified Schools. Mackenzie from Special Olympics Colorado speaks about how inclusion is a part of both her school and daily life. Ni Che from Special Olympics China discussed the difference between special schools and traditional schools. Even with this challenge, Ni and her partner Weile plan on partnering a special school and a traditional school with events involving traditional Chinese handcrafts and music. By carrying forward the Chinese traditional culture and promoting social inclusion at the same time, everyone will focus on abilities instead of disabilities. 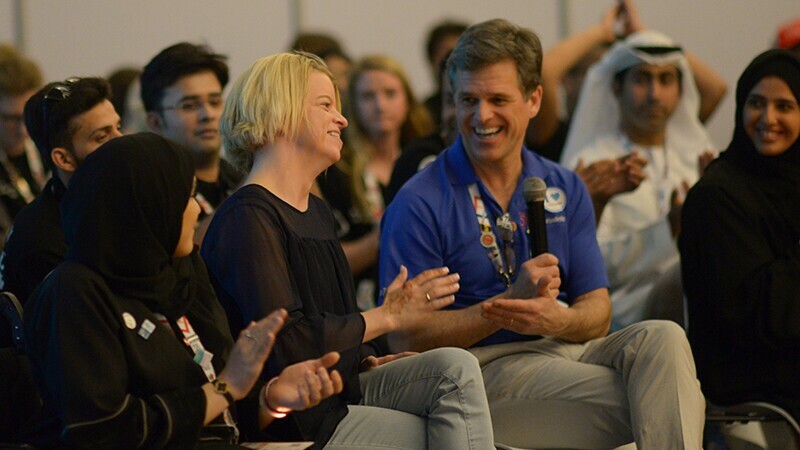 Daina Shilts takes a question from Special Olympics Chairman, Dr. Timothy Shriver during the Global Youth Leadership Circle. During the circle, special guests, ambassadors, and supporters voiced their opinion about the importance of youth empowerment when it comes to inclusion. One special guest, Daina Shilts, stopped by the circle to share her story and opinion on inclusion. Daina is currently the special correspondent for ESPN for the Special Olympics World Games 2019, making her the first female correspondent on the network with an intellectual disability. Shilts spoke of her experience being constantly bullied and put down for her differences. Through Special Olympics, she was able to discover her talents of snowboarding and understand the power of inclusion. Other questions included: How can youth be involved in promoting more inclusion in their communities? 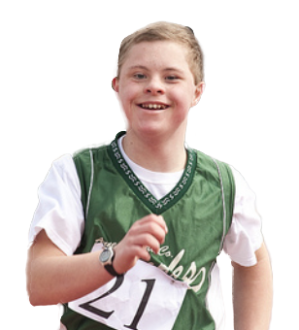 How can schools become more inclusive towards people with intellectual disabilities? Unified Champion Schools: what programs were effective, and if there are ideas on how to expand or make UCS more effective. What are the challenges facing more inclusion for people with intellectual disabilities in schools, and how can youth be part of the change? Despite various education systems, and other societal differences, they spoke of a change that is familiar to all—inclusion.